We knew the Chevrolet eCOPO Camaro was fast. 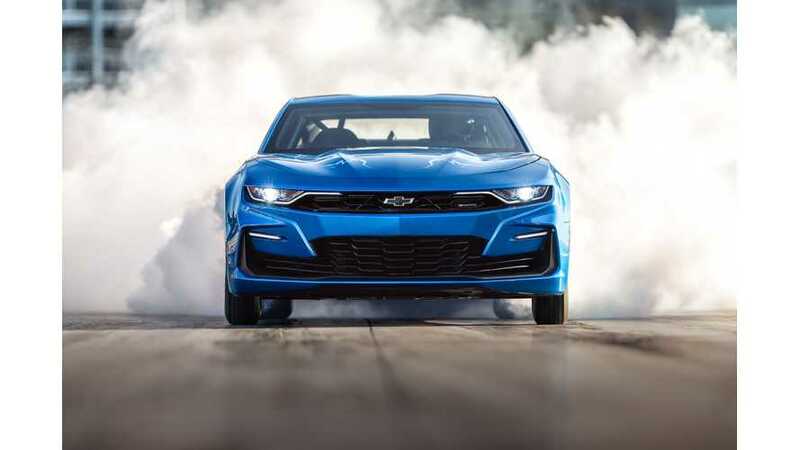 In its first video appearance at the dragstrip, it pulled an impressive 10.14-second time in the quarter-mile, lofting its wheels as it passed the Christmas tree. That's quick enough to beat any Tesla Model S P100D. But, the team behind the converted COPO knew it could do even better. That initial run was performed at just 80-percent power, after all. After weekend appearances of the battery-powered Camaro at the Auto Club Raceway At Pomona, we now have video evidence (below) of improved performance. The breakthrough didn't come right away. On Friday, the team laid down a 10.02 time, crossing the line at 133.39 miles per hour. It served as a great warmup, and we have footage of that run directly below. The final push into the nine-second range came on Saturday. With Patrick McCue (remember that name) behind the wheel, the 800-volt machine made its way up to the start line, silently spinning up its set of meaty rear slicks in an attempt to get as much grip out of them as possible. As the light turned green, McCue instantly drops the hammer, unleashing the car's 780 horsepower and 780 pound-feet of torque. Once again, the front wheels reached for the sky as the rear rubber dug into the asphalt. By the time it had traveled 1,320 feet, only 9.837 seconds had elapsed and the electric Camaro was flying at 134.07 mph. You can see the extraordinary performance in the video below. The result may be a new National Electric Drag Racing Association (NEDRA) record in the concept vehicle over 800 volts category. It is interesting to note, though, that it is not the quickest four-wheel electric dragster out there. Even with the resources of the mighty General Motors behind it, the time is still short of many other electric racers. McCue, for instance, drove "Shock and Awe" -- a car put together by his Bothell High School students -- to an 8.328-second result at an astonishing 166.29 mph. We've embedded that run below as a little bonus.